Orange and Yellow fruit typically contain the most vitamin C, among other nutrients. Citrus fruits get their bright colors from the more than 8,000 different flavonoids they contain. And flavonoids have been shown to have antioxidant properties, reduce inflammation, and improve cardiovascular function. They also not only have direct antibacterial properties, but also have been shown to actually work synergistically with antibiotics, boosting their effectiveness. 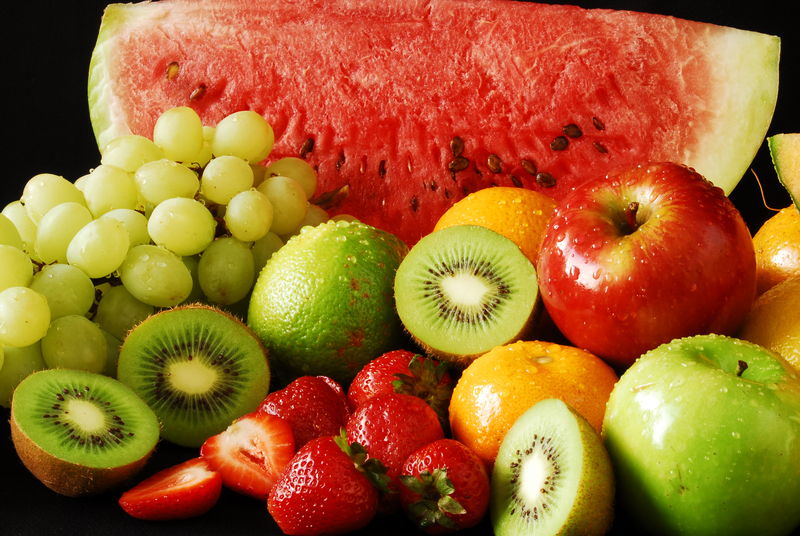 Red fruit have many antioxidant and immune-building properties as well. Cranberry juice has long been known to contain compounds that can prevent and treat urinary tract infections, and also can help reduce the need for antibiotics in elderly patients. Tomatoes get their red color from lycopene, a compound that also has antioxidant properties and helps promote cell health. And goji berries are becoming an increasingly popular “miracle fruit” that has been shown to increase the levels of important immune cells in the bloodstream. Blue and Purple fruit are a great source of antioxidants as well. Blueberries get their color from a group of compounds called anthocyanins, which like lycopene are potent antioxidants. These compounds can help reduce inflammation and stress on the immune system. Red (or purple) grapes also contain anthocyanins, and regularly consuming grapes can significantly boost antioxidant levels in the body, helping to reduce the risk of certain cancers as well as promoting longer life.